We've already covered a lot of Android phones and tablets in our gadgets section, and now, we’re going to do the same thing again; that is, to keep you abreast with all the latest that’s happening in the Droidian universe. Mobile World Congress (MWC), the coveted event for mobile enthusiasts, comes on the heels of a somewhat surprising announcement from the folks at Canonical. Last week, if you've been following us regularly, we discussed the pros and cons of Ubuntu for Android, Canonical’s latest attempt at wowing non-Ubuntuers. The most important component of this endeavor is a high-end, dual-core Android device. 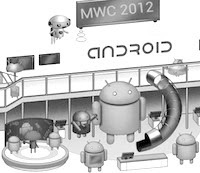 In MWC 2012, there was no shortage of such devices, thus making the Ubuntu for Android booth somewhat hard to ignore. HTC’s latest offering, the One X is a high-end Android smartphone due to be released in Q2 2012. With a Super IPS LCD2 capacitive display and a 4.7-inch screen, the phone will come loaded with a customized version of Android 4.0 (Ice Cream Sandwich). Being a powerful device, One X comes with NVIDIA Tegra 3 chipset and a 1.5 GHz Quad Core processor (yep, that’s more than perfect for running Ubuntu on Android). Furthermore, the smartphone also has ULP GeForce graphics card so that gaming on it won’t be a disappointment. The camera on the phone is 8MP and has features like geo-tagging, face detection, and simultaneous HD video and image recording. 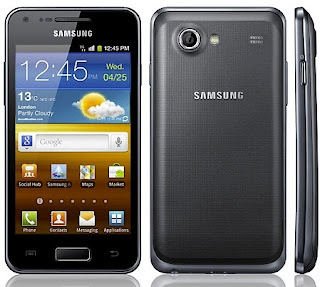 The Galaxy Ace Plus comes with a 3 GB storage and 512 MB RAM. Equipped with a 1GHz Qualcomm Snapdragon S1 processor, this Ace successor comes loaded with Android 2.3. The camera on this device is 5MP and the screen size is quite smaller than any of the other devices on this list. Expect the smartphone to arrive anytime this month. Also launching in Q2 2012 is Sony’s Xperia P. The beauty of the device comes with an LED-backlit LCD and a 4-inch screen. To make sure you get the optimum display, the phone comes with mobile BRAVIA engine and Sony’s Whitemagic technology. Coming to the core specs, you get a dual-core 1GHz processor and 1 GB RAM. The most disappointing thing, though, is the fact that the phone will come loaded with Android 2.3 Gingerbread. (Yep, I know, quite a bummer right?). However, that’s not a big reason to shun this device yet as Sony has promised an ICS upgrade for it in the near future. Successor to the highly popular Samsung Galaxy S, Advance comes with some amazing set of specs. The 4-inch device surprises us with a Super AMOLED display protected by Corning Gorilla glass. On the inside, the phone comes loaded with a dual-core, 1 GHz Cortex-A9 processor along with 768 MB RAM. 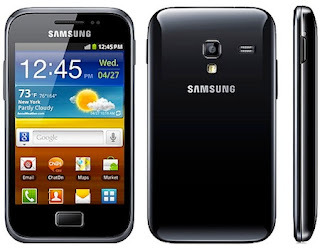 The UI, obviously is TouchWiz 4.0, and it’s not completely clear as to when the phone will get an ICS upgrade. Beam, the sleek projector phone has been getting quite a lot of attention lately. The device that costs around $610 (SIM-free) lets you use your Droid for giving presentations using the built-in projector. Though loaded with Android 2.3, this 4-inch stunner comes with a crystal clear Super AMOLED screen. The phone was showcased at MWC 2012; however, not much is known about its complete specs and there’s also confusion whether the device will come with a 5 Megapixel camera or an 8 Megapixel one. The projector that comes with it has an output of 15 lumens.